Have you been thinking about buying a new armchair, since the old one seemed not matching the interior? Think once again and before you spend huge amount of money on furniture, give your old home equipment a perfectly new look! From this moment, your old IKEA - SANDBY armchair will no longer resemble a plain, worn and shabby piece of furniture. The replacement slipcovers that we offer will provide you with nice and classy look given to your favourite IKEA - SANDBY armchair. Each slipcover is offered in different variants when it comes to colour and texture of the materials. The feature which is very much worth being noticed is, that many of our replacement slipcovers are also hydrophobic - they do not soak with water, so that you can easily clean them. Simply take it off from your armchair and put into washing machine. 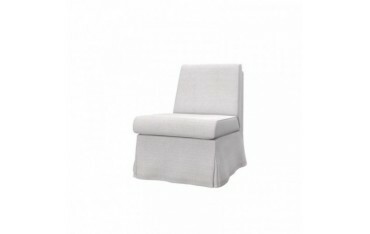 The slipcovers are very durable, so they can be named as kid friendly and safe. All the covers are under 2-year warranty. You can pay by card or paypal and soon enjoy a new thing to decorate your interior.